You have either left a company that was using the Google Apps, or you may have recently removed a Google Account and then changed to another. Now you try to connect to the Google Drive, it won't let you change the account, instead it remembers your previous account, and clicking the "Sign into a different account" performs nothing. Do Not Go Down This Route! First, it took me about 8 hours to solve this fairly serious flaw and I also checked on the net to see if there has been any solutions. There is no need for you to go to the C:\Users... \Drive folder to remove it. There is no need to uninstall. There is no need to clear the history of Chrome. It's not where this issue is happening. There is nothing in the registry so don't look there. 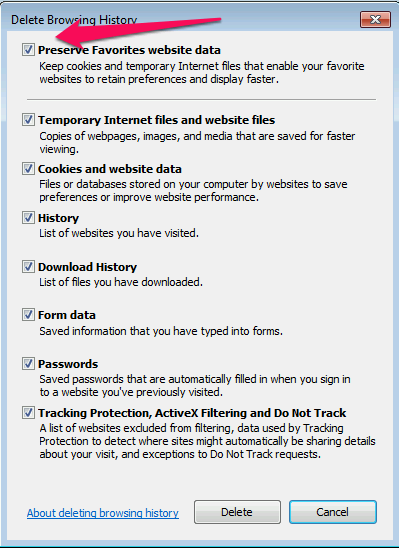 It is the IE caching the log-in credentials. Not the Chrome. But to make the matter worse, you need to log-into the new Google Account in the IE to clear the previous credential that was cached. 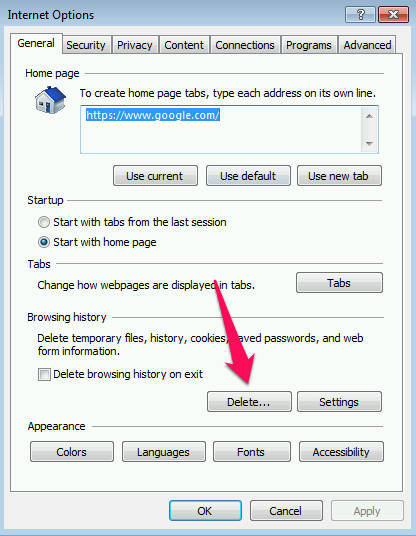 First, go to the Internet Options of the IE, then Delete the browsing history. Wait for the cache to be cleared, then, next thing you need to do is to Sign In to Your New Google Account with the User and Password of the new account. You will run into the identical problem if you also have a Mac. You are also likely to have Safari and Firefox installed, therefore you need to do this with Chrome, Firefox and Safari in that order. First, clear the stored password from every browser you have. Then close all the browsers and do the following steps on every browser from Chrome, Firefox and then Safari in that order. 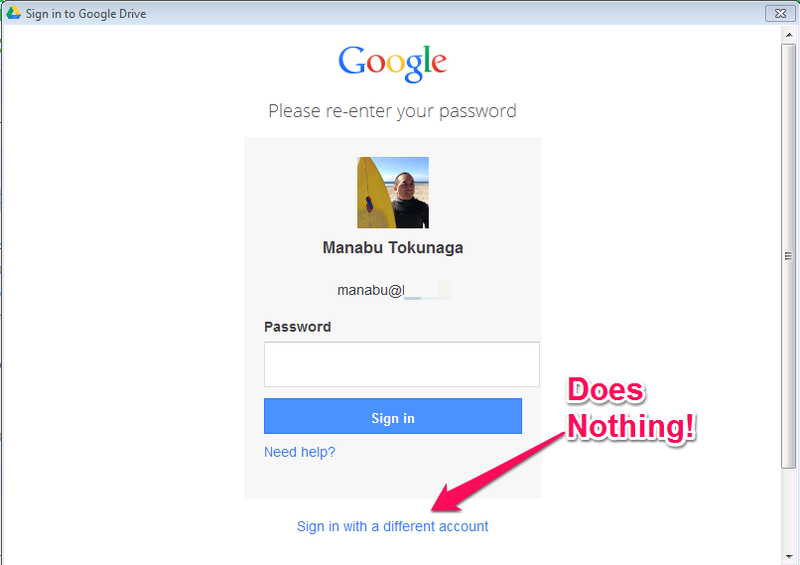 Go to http://www.google.com and if it is still logged into a Google account, log out of it and then log back in. 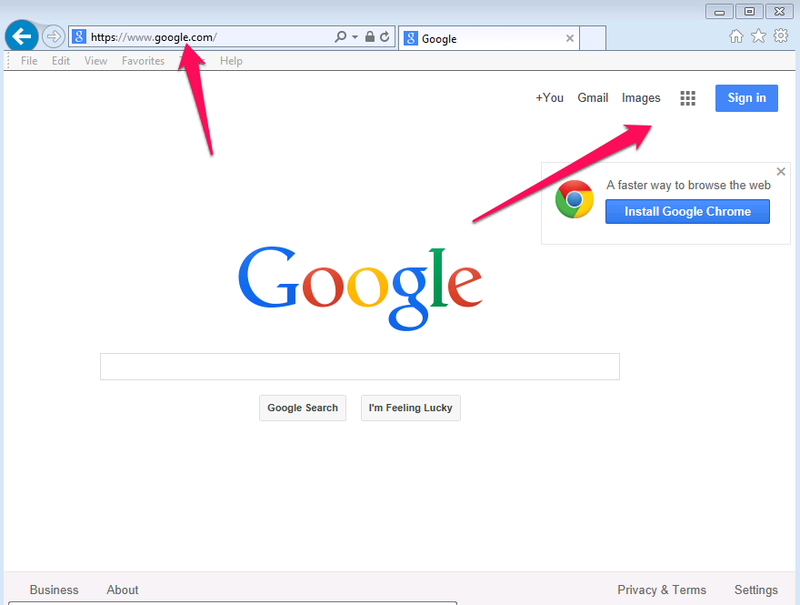 Go to http://drive.google.com now and click your profile photo on the top right of the page. If you do, you should see Add Account button. If you do not see this button, log out and log back in. If you have more than one Active account, then you should add those now. Close the browser and do the same to the next browser. When you are all done with them, you have cleared the any cached log-in information and you can now re-launch the Google Drive app and you should be able to log-in.